I had originally envisioned doing a mango habenero pepper mead, but the store I went to did not have any habenero peppers in, so I substituted Serrano peppers. For this one, I wanted to try a few different techniques. Instead of placing the whole fruit into the primary fermenting container, I decided to boil the mango flesh in some water. This extracted a lot of the juices and flavoring from the fruit. I then filtered out the larger pieces as I poured this slurry into the glass jug. Next I cleaned and quartered the peppers. 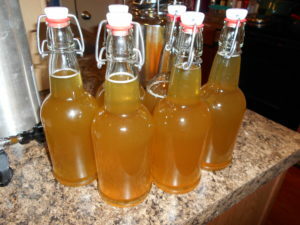 Removed the seeds, which would have imparted a bitter taste, and placed these into the jug with the rest of the ingredients. This one fermented quite vigorously, but managed to stay within the jug for the most part. This was the first time I had done a primary batch in anything other than the bucket, so watching it happen through the glass was interesting. The yeast were making enough CO2 that it looked like a soft drink. You could hear it through the container, gurgling away. And the smell it made! I was a delicious peppery, almost barbecue scent that filled my apartment. I really enjoyed the flavor of this one. Of all the batches I’ve made, this is my favorite thus far. It’s got a slight sweetness to it, with a mouth filling heat aftertaste. But not in a burn your mouth way. It’s a pleasant mixture. The mango flavor is not the most apparent, so when I recreate this one, I will likely add some more of that to try to bring it out more. Adding it to the primary likely ate up a lot of it, and the verdict is still out on the boiling method. It lead to less sediment, which was nice in such a small container, but likely lead to less of the flavor coming through. 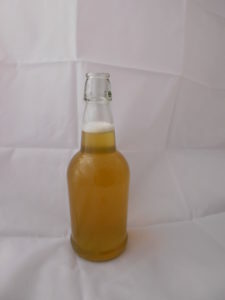 As I write this, I am using this mead as my first test force carbonation using my new mini keg. I think some carbonation in this one will help liven it up even more. It is already a bit closer in flavor and texture to a beer than my other flavors, so it felt like a good candidate. 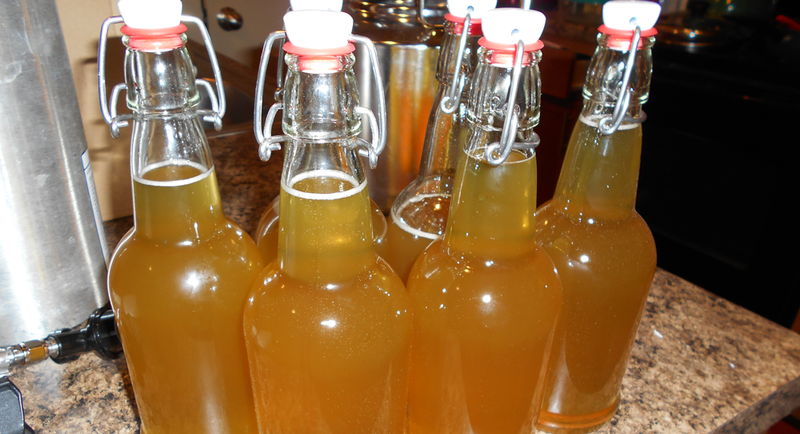 Read more about how to keg and carbonate your mead here.